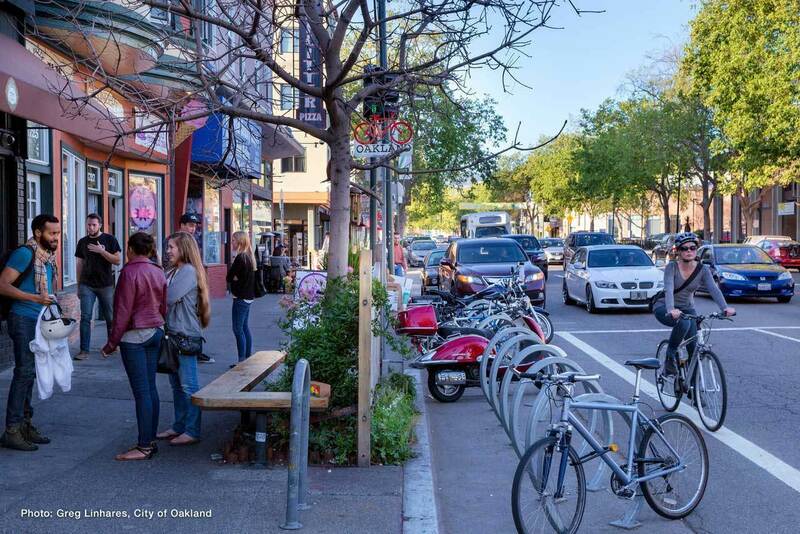 Oakland's Bicyclist and Pedestrian Advisory Commission (BPAC) was established on February 4, 2014, to advise the City Council on programs and projects related to walking and bicycling. The first meeting of the Commission was on September 18, 2014. Every meeting is open to the public, so feel free to drop on by! There is an open forum at the beginning of each meeting when members of the public may comment on any issue within BPAC’s subject matter jurisdiction. The agenda will be posted at https://www.oaklandca.gov/resources/bicycle-and-pedestrian-advisory-commission-agendas-and-minutes. Identify projects and plans that are pertinent to the Commission's purpose and prioritize those projects and plans for design review by the Commission.